Washington, D.C. – May 17, 2011 – Athletes Without Limits Michael Lautenberger, Syd Lea, Bruce Worley and Mark Worley have begun training together with Wakefield High School rowers and their volunteer coxswain Reggie Worthington of DC Strokes on the new Athletes Without Limit Rowing Team. The crew is being led by Patrick Johnson, US Rowing Coach and Owner/Head Coach of CrossFit Capitol Hill. Johnson has been instrumental in launching the first program of its kind in the United States. 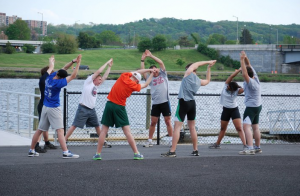 The program is made possible by a partnership between Athletes Without Limits, DC Strokes Rowing Club, the USRowing’s America Rows Program and the Anacostia Community Boathouse Association (ACBA) in Washington DC. 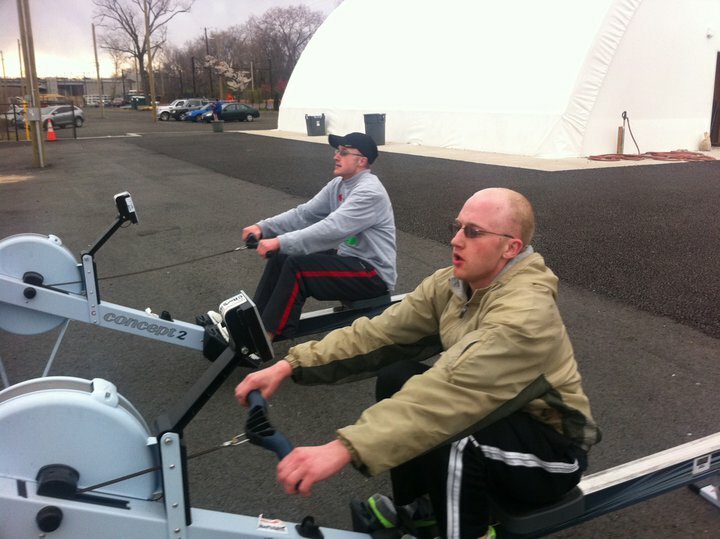 The Anacostia Community Boathouse and DCStrokes inclusive model is ideal for integrating athletes with intellectual disability into the mainstream rowing community. Of the four athletes, Michael Lautenberger has the most experience on the water having rowed with his high school team in Maryland. Syd Lea is also no stranger to the sport and is getting some help learning to transfer power from his cycling legs to the oar from father Rob Lea, a former Harvard, Pan-American and Olympic Rower. Practice consists of some dry-land training including running, which experienced long distance runners Bruce and Mark Worley handle with ease. The crew is learning to row on ergometers (rowing machines) and in sweep eight-man boats, sweep four-man boats and sculling pairs in preparation for an ambitious 2011 racing schedule. 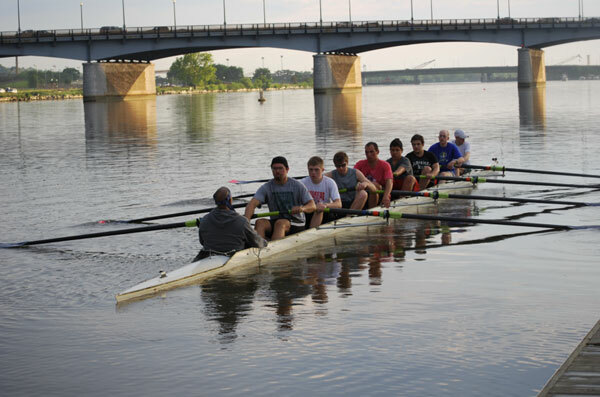 In addition to the teaching technique and the intricacy’s of rowing in synch, Coach Johnson also emphasizes boathouse and waterway etiquette — the Wakefield High School rowers have been setting a great example in how to have fun while concentrating on precision and teamwork. While the first official training session was in April 2011 and practice will continue every Thursday and Sunday to prepare for a several 2011 Regattas. The tentative 2011 racing season goes through November includes events where the athletes will be in a mixed boat competing with and against non-disabled rowers. Rowing embodies the ultimate in individual determination, teamwork and grace and is a promising new opportunity for the full integration of athletes with disability into mainstream sport culture. With strong support from FISA World Rowing, INAS International, and USRowing, indoor and on-water adaptive rowing is now a strong international priority. Part of this momentum comes from a new class for athletes with intellectual disability already part of some events and schedule to be incorporated into the 2016 Paralympic Games in Rio de Janeiro. That may seem a long time off but with little no formal development programs specific to the ID class, it is important to get rowers with intellectual disability as much training and regatta experience as possible to ensure the US will be ready to field a team. We’ll also need to recruit some women as the Paralympic boat will be a mixed 4 (2men, 2women). There are other countries who already have programs in place — including Portugal, Russia, Hong Kong and Italy — with nationally ranked rowers whose sites are set on medals at the 2016 Games. With the startup of the Athletes Without Limits Rowing team and other events like the USRowing Camp for Athletes with Intellectual Disability held in Austin earlier this spring, we feel confident the US will one day be going head-to-head for Paralympic Gold. Become a Sponsor: We are looking for corporate sponsors to help us make history by developing athletes with intellectual disability for consideration for the first US National Team of rowers with intellectual disability to compete against non-disabled rowers in mainstream regattas and in the potential ID class at future Paralympics. Athletes Without Limits is a 501(c)3 that helps Americans with intellectual disability reach their full potential & integrate into mainstream sport. Learn more at www.athleteswithoutlimits.org. 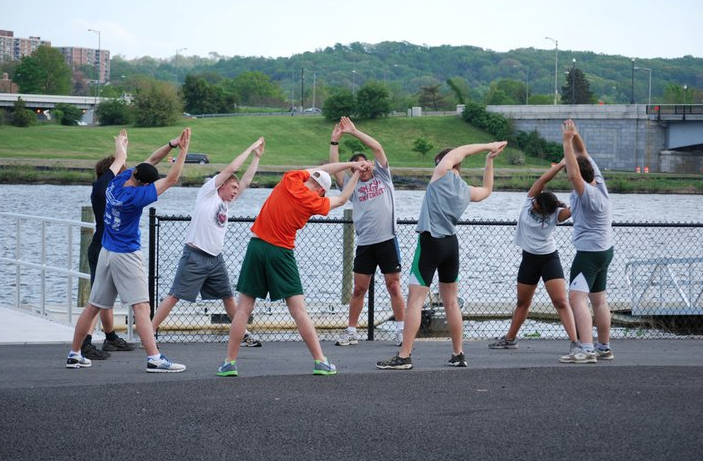 DC Strokes Rowing Club – DCSRC – is committed to bridging gaps between communities by building an inclusive environment, fostering personal growth, and promoting the true spirit of sportsmanship. DCSRC programs offer opportunities for all rowers, regardless of experience level. Learn more at www.dcstrokes.org. All photos by John Worley.